Started our operations in the year 2010, we, Addii Biotech Pvt. Ltd., are known among our customers for manufacturing and wholesaling a wide range of the finest quality of Pharmaceutical Drugs. Inclusive of Pharmaceutical Tablets, Pharmaceutical Capsules, Pharmaceutical Syrup and Pharmaceutical Injection, we offer a wide range of products. The offered range of pharmaceutical products is procured from trusted and reliable vendors of the industry to ensure high standards of quality. Offered range of pharmaceutical products is highly demanded in nursing homes, health clinics and hospitals for treatment of various types of diseases. Owing to our rich vendor base, we have been able to meet the bulk demands in the most efficient manner. In a zest to attain maximum customer satisfaction, we assure timely delivery of the offered pharmaceutical products at the customers’ end. Keeping the requirements and ease of our customers in mind, we accept different modes of payment such as cash and online. Our mentors, Mr. Manoj Malik and Ms. Renu, have helped us in attaining a commendable position in this domain. Their experience and knowledge of this domain, has helped us in catering to the precise needs of our valuable customers in the most efficient manner. We believe in making a long-term relationship with our customers by providing best quality services and products at affordable prices. Utilizing the skills and experience of our professionals, we have been able to attain the trust of our valuable customers in the most efficient manner. Ability to meet the bulk demands, customer centric approach and ethical business polices has helped us to cater to a remarkable and praiseworthy position in this domain. Transparent transaction policy and timely delivery are offered, in a zest to attain maximum customer satisfaction. Our vision is to be Global Pharmaceutical Company by providing healthy and quality life through quality products & Services. Our Mission is to be one of fastest emerging well known company in Indian Pharmaceutical Industry & capture significant market share all over India till 2018. At Addii Biotech Pvt. Ltd., we believe in making a mutually beneficial relationship with our customers by providing them with unmatched services and drugs at cost effective prices. Being a quality conscious name, the optimum quality of the offered drugs and services are never compromised at our end. For this, we procure the offered range from trusted vendors, who are known for their quality of products. In addition to this, before accepting any range from them, we checked the offered range on various quality assurance parameters. To meet the precise needs of our valuable customers in the most efficient manner, we have made a strong bond with some of the most trusted, reliable and certified vendors of the industry. Based on their ability to manage bulk demands, reputation in the market and credibility, the vendors were selected by our procurement agents. Since these vendors are associated with us over a long period of time, they are well-aware with different needs and requirements of our customers. These vendors holds expertise in their area of work and are known to use quality assured ingredients and latest processing machinery while developing the offered range. We are having separate quality control department that continuously keep on inspecting the quality of our product. The Quality Assurance Department, managed by qualified personnel, constantly examines quality considerations – performing systematic sampling and testing at every stage from raw materials, through each procedure of intermediate and finished pharmaceutical formulations. 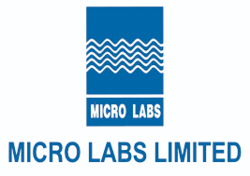 Our Major Client is "MICRO LABS LIMITED" since 2017. We believe that our committed and honest workforce is driving force behind our remarkable position in this domain in such short period of time. Procurement agents, warehousing & packaging experts, quality controllers and other supporting staff are essential elements of our team. They are known to hold expertise in their area of work and are provided with regular training to enhance their as per our organizational goals. Utilizing their skills and knowledge, we work to attain maximum customer satisfaction.